Chris Brokate founded Brokate Janitorial Service in 1990, long before green cleaning was a trend. Chris considers himself a "steward of the earth", and chooses earth friendly cleaning products over harsh chemicals whenever possible. Chris Brokate received the 2014 Green Business award from the Sebastopol Chamber of Commerce & Visitor Center. 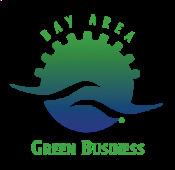 Green Janitor Service became a Certified Green Business through the Sonoma County Green Business Program in 2014. Chris Brokate received the 2010 Volunteer of the year award from the Russian Riverkeeper.